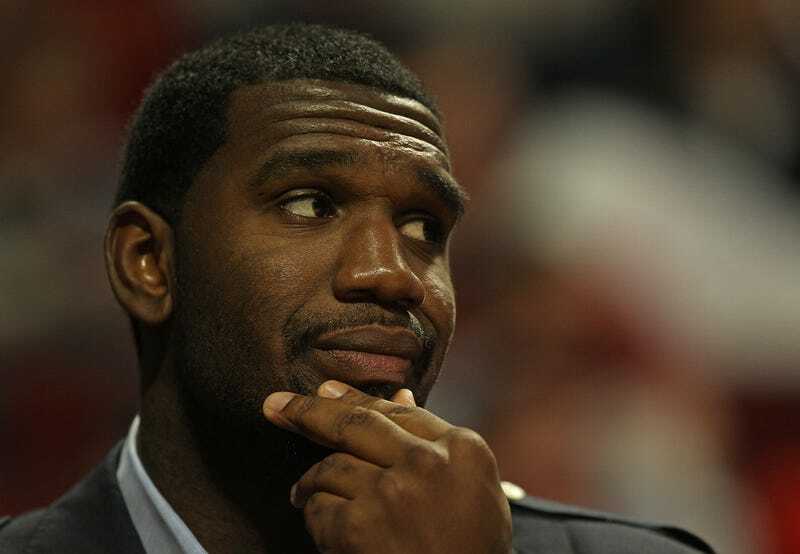 Former first overall pick Greg Oden hasn't played in an NBA game since December 5, 2009. He's had four major surgeries on his legs since then. On Friday, Oden announced that he'd be signing with the Miami Heat. What better way to gently come back than by joining the defending champions? "Obviously the chance to play with the best player in the world and compete for a championship was a big selling point. [...] But more than that, what I really liked was how they thought I could really add something to their team. They’ve won back-to-back championships without me, so for them to pursue me as hard as they did meant a lot, especially given all that I’ve gone through." Judging from that quote, and the contract he signed—$1.03 million with a $1.14 million player option in 2014—the Heat have incredibly low expectations for Oden. No team courting him could have been expecting an immediate impact. This deal is the definition of low-risk. Oden would be in the mix with Udonis Haslem and Birdman Andersen on the current roster; neither of those guys are heavily leaned on in Miami. The Heat didn't win games relying on their big men, obviously. It's easy to see why the Heat would pursue Oden so fervently. Miami's already found a winning formula in having the current greatest player in the NBA, but carrying three superstars on a roster means that they have to be paid a lot, so only cheap options can fill out the remaining spots. (Giving Joel Anthony $3.8 million next season narrows down possibilities even more.) Throw a cheap contract at the 25-year-old—seriously, he's only 25 years old, although his knees aren't, but still—looking for a no-pressure situation, and improve your rebounding and defense. Oden wasn't a chump when he was healthy, although that's only judged from 82 games of evidence. Both parties can benefit. Oden purposefully sat out the 2012-13 season to try and heal his knees as much as he could. He's not going to be playing much to start. A goldfish can't be put in a new bowl of cold water while its tank is cleaned; it needs to be eased in. This scenario gives Oden his perfect—and maybe last, but let's not be pessimistic—opportunity. The Heat might be worthy of vitriol for so many reasons, but a Greg Oden comeback would be one of the best stories this season.